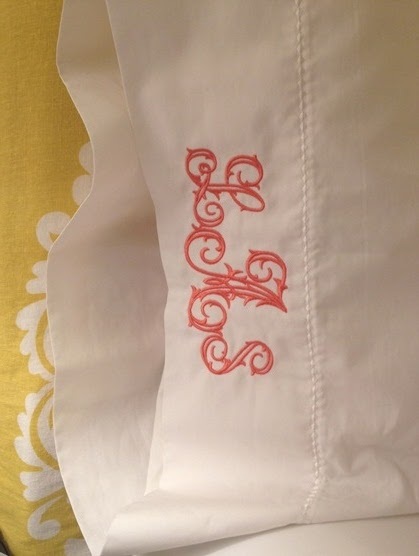 Speaking of the One Room Challenge, I realized I never showed you my monogrammed euro shames and pillow cases from my bedroom ORC. To say I love them is an understatement! 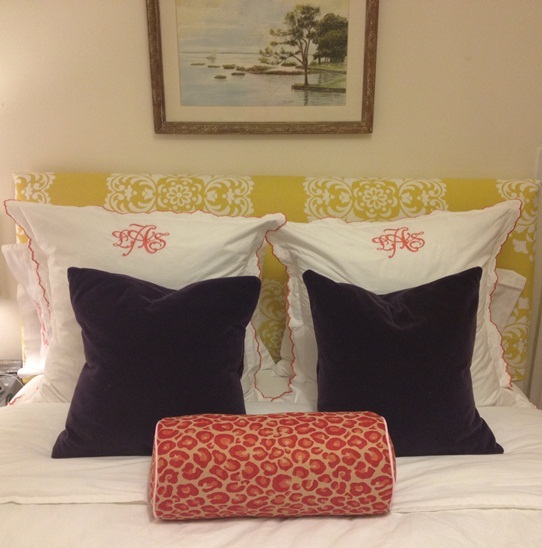 I chose two different monogram styles for the shams and the pillow cases, but did them in the same color. Obviously I went with orange, an old standby in my house. I am in love with my bed now! 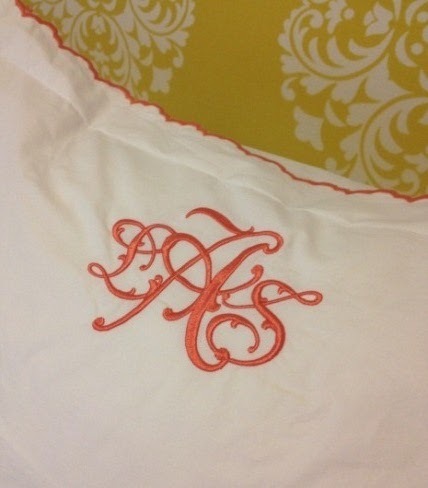 The monograms were the perfect personal touch and I can't believe I waited this long to get custom bedding! I've been collecting more bedding over the last few months and I already have another box ready to send over to Maryellen. Now, if I could just pick a style and color I'd be golden. PS- I'm over at Living Savvy sharing my most favorite organizing tip with Tiffany and her readers! Be sure to head on over and check it out!! 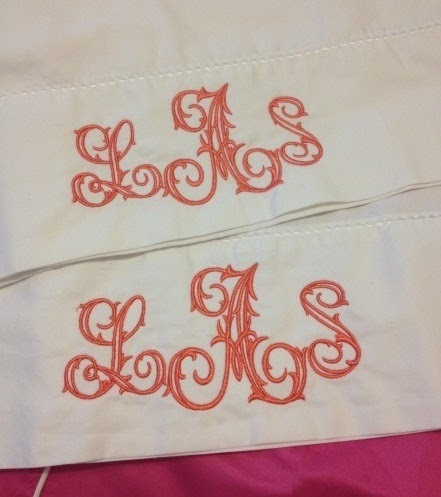 the monograms look great! Could you tell me which font style you chose? Thanks! oh my word, I'm looooooving this. That color is perfection. What color is the thread? Love the way these came out! and love the shout-out to my MIL. I need to have her do some of these for me! Oh my gosh...so elegant. A splurge but so worth it.